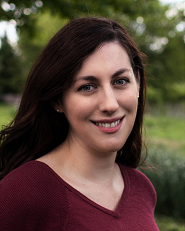 Today, I’m delighted to welcome Rowenna Miller! 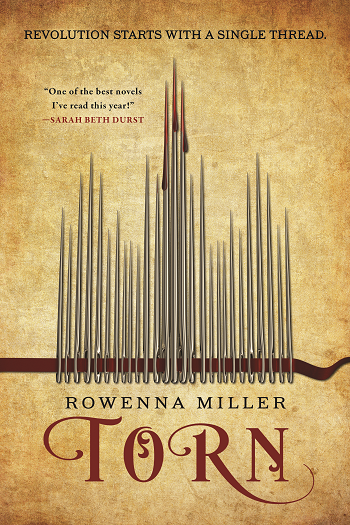 Torn, her recently-released debut novel and the first book in the Unraveled Kingdoms series, was largely inspired by her research on women’s fashion during the late eighteenth century, particularly apparel created in the midst of the French Revolution. It’s set in a historically-inspired fantasy world featuring a city on the brink of revolution—and a seamstress who literally sews magic into clothing! Some people assume that there is a conflict between including strong, empowered, and diverse female characters in our work and retaining historical “authenticity” when writing fantasy. Readers seek “authentic” experiences and writers strive to provide them, and typically in a fantasy framework they are generally at least partially inspired by historical realities. But what do we mean by “authenticity”? “Authenticity” is of course a moving target of perception—does this “feel” like the past? Much of what we assume we know about “the past” comes from a very narrow sliver of history, both chronologically and geographically. When we begin to think about gender roles in history, our assumptions tend to emerge from European and American nineteenth century norms that were then challenged, re-established, and (partially) rejected in the twentieth century—and never existed in much of the rest of the world. Though pervasive in our attitudes about gender roles, many of these norms were, in fact, specific to certain locations in the nineteenth century. Yet writers who eschew assumptions about historical gender roles may be criticized on the basis that it doesn’t “feel authentic.” Why do we assume what we do about the historical roles of women? Of course, when you’re writing fantasy, there is that whole worldbuilding aspect where, even though you’re inspired by or mirroring certain historical periods, you’re allowed to craft new social and cultural norms. You are allowed—encouraged, even—to make a world in which women hold positions that they didn’t in your historical cognates. And if that isn’t enough permission, you can also certainly find examples in historical scholarship for a full range of real-life female involvement (thanks for already covering this one beautifully, Kate Elliott). Prior to the age of industrialization, most Europeans worked in the same physical space that they lived, or very close to it. Farmers are a clear example of this, but even tradespeople tended to work close to or in the spaces they lived. This meant that tradesmen didn’t leave home to work, and women were not left alone to work in the home all day. Breakdowns of tasks between housekeeping and trade/livelihood related tasks were often more fluid than “male” and “female” roles. Both men and women participated in agrarian work or tending for animals. Both men and women participated in trades. Women were often silent partners in trade—which we know because widowed women were often “unsilenced” on the passing of their husbands, or worked in a trade on their own, including trades we often envision as strictly male, like shoemaking and blacksmithing. When people began, however, to “go to work” outside the home more regularly in the wake of the industrial revolution, the dynamic changed. The domestic sphere became more fully separated from the public one. Suddenly we have very distinct roles and spaces for men and women—men in the public, commercial, occupational sphere, and women in the private, domestic, and familial sphere. With this comes a lot of baggage—the concept of women as “the angel of the household” who provides not only household maintenance but nurturing and positive influence on men. She stays home, she delights in her household, she is a pillar of virtue for men to lean on. This concept is reinforced in, for example, postwar twentieth century attitudes that cast Mrs. Cleavers as ideal and Lucy Ricardos as humorous deviations. In short, the idea of women as cloistered domestic angels is inaccurate for most places in most periods of history. However, much of the media we consume—most of the “canon” of classic literature and film, as well as many contemporary works—is steeped in this tradition. We read, disproportionately, nineteenth century works when we read work produced in the past—our school curriculae and our general “well-read brownie points system” encourages this. This in turn becomes our touchstone for the past. When we think “historical” is it any wonder that the world of Little Women, Jane Eyre, or Great Expectations comes to mind? What does this mean for fantasy writing? As we often tap our understanding of history to write believable fantasy, we often default to this understanding. This version of “authentic” follows us around like a persistent puppy, dogging our readings and whining when they challenge a particular perception, despite its limited roots in one particular historical reality. In some ways, this is a very specific but particularly insidious version of The Tiffany Problem, where a reality doesn’t pass the sniff test of an “authenticity” seeking readership, thus is considered “unrealistic.” (The Tiffany Problem gets its name because Tiffany, or variations thereof, is an actual medieval name, but anyone using the name for a medieval or medieval-inspired fantasy character would be laughed out of the room.) Just as that medieval noblewoman might be a Tiffany, a seventeenth-century woman might be a blacksmith—yet the authenticity-radar blips for these violations of our incorrect understanding of the past. 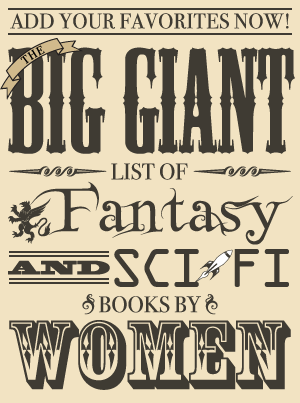 Write a fantasy with a female blacksmith, and the reactions will include criticism of an unrealistic world and praise for a gutsy, inclusive challenge to the status quo—but acknowledgement that this isn’t really anything new is less likely. Photo Credit: Heidi Hauck Rowenna Miller grew up in a log cabin in Indiana and still lives in the Midwest with her husband and daughters, where she teaches English composition, trespasses while hiking, and spends too much time researching and recreating historical textiles.